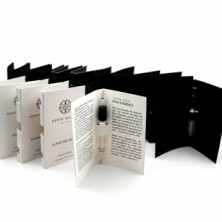 PRECIOUS RAW MATERIALS, RARE NOTES, PERFUMES LIKE REAL OLFACTORY JEWELS. For his new collection, HERVÉ GAMBS worked as a perfume goldsmiths, attentive to the slightest details. He redesigned his perfume bottle conserving its original sleek lines, adding a lot of precious finishes and a new luxury refined box.